An off-duty Cook County (Ill.) Sheriff’s sergeant shot and killed a teenager who tried to rob him Monday night, Chicago police say. 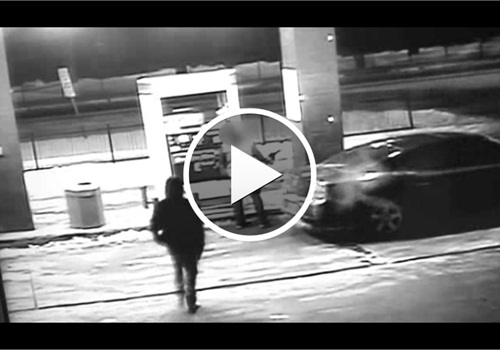 The incident occurred at a Far South Side Chicago gas station, the Chicago Tribune reports. Authorities say a surveillance tape shows that as the sergeant began pumping fuel into his vehicle, three males surrounded him and demanded money. One of the males pointed a handgun at the sergeant. Reports say the sergeant handed over his wallet, but the male with the gun continued to threaten him at gunpoint. The sergeant then produced his own weapon and shot the gunman, 16, in the head. The other robbers fled. The names of the sergeant and the teen have not been released.